While the idea of moving to a new house is exciting, the moving process is often long and difficult and it comes as no surprise that most people end up making mistakes that could easily be avoided. To help you from the frustration, pain, and problems that come when things do not go as you imagined, here we are highlighting the most common moving mistakes and how you can avoid them. The Mistake – Despite the fact that they know moving involves a multitude of things, a large number of people do not start working until there only a few days left. Thinking that things will quickly start coming together once you start is a huge mistake when it comes to moving to a new house. What to Do – Start early and plan everything before you start throwing your belongings into boxes. Making a checklist, arranging boxes, considering packaging requirements for different types of things, and labeling the boxes are only a few of the tasks that are quite time-consuming and tiresome. There is a lot more to moving, so make sure you start early and properly plan out your move. The Mistake – Many people do not realize that not everything in their house is as easy to pack as clothes. Improper packaging is one of the common reasons why many DIY movers end up with broken or damaged items. You not only need to know how to pack different household stuff, but should also avoid stuffing too many things in one box. We know you want to have as few boxes as possible because you think it would make the move easier, but this is a huge mistake. By packing heavy boxes, you are putting your and your valuable’s safety at risk. Over-stuffing can damage fragile items as well as can cause the boxes to break. And you can get yourself injured by lifting very heavy boxes. The Solution – According to experts, 50 pounds is the maximum weight limit for moving boxes. Keep this in your mind while packing and make sure you don’t exceed this limit. The Mistake – Underestimating different costs associated with moving a house is another very common mistake, especially among the people who are moving for the first time. This usually happens because people do not calculate different costs ahead of time and make a budget accordingly. How to Avoid – While we understand that you cannot possibly anticipate the moving expenses down to the penny, you can always add up estimated costs of different things and have a range for the amount that will be required for moving. This only takes a little time and planning, but it will help you better prepare for the move. Since this will require you to do some research, you would know where you can get the supplies at affordable rates and thus, can save some money. 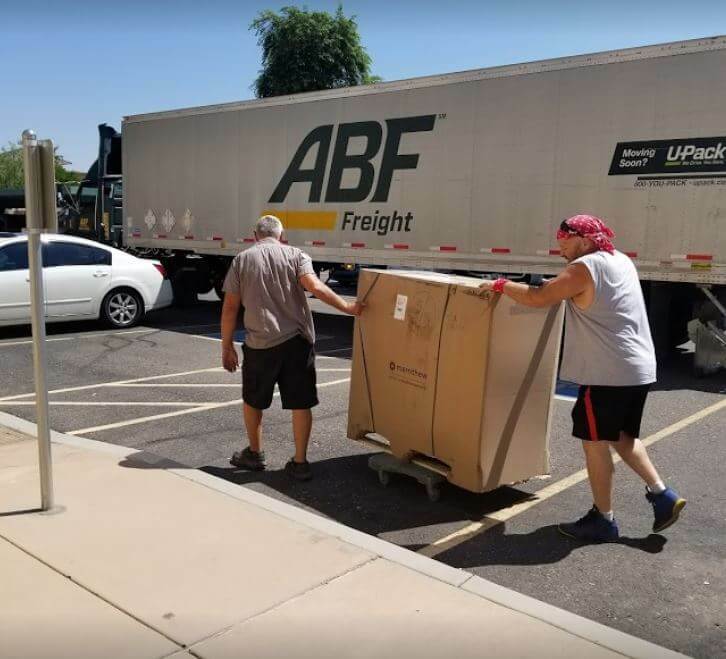 Hire a professional moving company, like Starfleet Moving – the best moving company in Gilbert, AZ, to make your move quick, smooth, and stress-free. Moving companies have trained and experienced staff that knows how different items need to be packed, lifted, and carried to ensure safety. Also, they have the right equipment for lifting and moving heavy items. In short, they make your move feel like a breeze. However, make sure you only hire a reputable moving company or you can get into trouble. While the idea of moving to a new house is exciting, the moving process is often long and difficult and it comes as no surprise that most of the people end up making mistakes that could easily be avoided. To help you from the frustration, pain, and problems that come when things do not go as you imagined, the article highlights some of the most common moving mistakes and how you can avoid them.